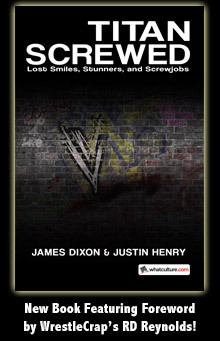 Headlies: WWE Celebrates Mother's Day - WrestleCrap - The Very Worst of Pro Wrestling! Boca Vista, FL – This past Sunday, WWE aired a new special on the WWE Network celebrating Mother’s Day. 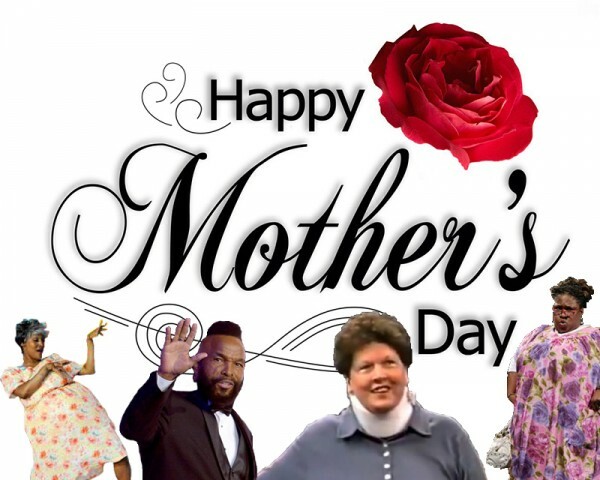 The show, entitled “Happy Mother’s Day, Fools”, was hosted by WWE Hall of Famer and noted mother lover, Mr. T. Joining Mr. T was several well known WWE mothers including Brodus Clay’s mama, Shelton Benjamin’s mama, and former WCW tag-team champion, Judy Bagwell. The hour-long special was a roundtable of sorts with the participants discussing their wrestling careers and highlights over plates of pancakes, waffles, juice, champagne, and slices of cantaloupe at the end. Mr. T opened the show with a speech about loving his mother on every holiday including Shavuot, the Jewish harvest festival, St. Martin’s Day, and Vijayadashami, the Hindu Day of Victory. After patiently waiting for 20 minutes, Shelton Benjamin’s mama interrupted. For still unknown reasons, Brodus Clay’s mother rose from her seat and began a frenetic dance routine. Enraged by Judy Bagwell’s comments, Shelton Benjamin’s mama violently swung her oxygen tank. Judy Bagwell ducked, causing the tank to knock out Brodus Clay’s mama. A brawl between Bagwell and Benjamin broke out across the set as Mr. T continued his speech about loving his mother. The special ended with a loving tribute to other wrestling mothers including Linda McMahon, Mae Young, Beaver Cleavage’s mom, and Mama Cornette. 4 Responses to "Headlies: WWE Celebrates Mother’s Day"
And due to some odd gravitational pull anytime a cake was brought out the mothers’ were compelled to be pushed face first into it. Mae Young’s son was gracious enough to lend each lady a hand. T went WAYYYY overboard with his whole “my mother is God everybody worship her” schtick. The fact that Kane had to break character in order to come and tell him to wrap it up is proof of that. T’s also a relgious fanatic, apparantly. But then, so is Muhammad Ali. I have no further comments about that…..